Rut time: November – December. Best hunting times: Rut and Spring. The Ibex is a very old species. It is estimated that during the Pliocene era (7 million years ago), the caprinidae of central Asia arrived in Europe and it was around the Riss glacial stage when the Iberian form of the Capra genus appeared differentiated from the Ibex of central Europe. 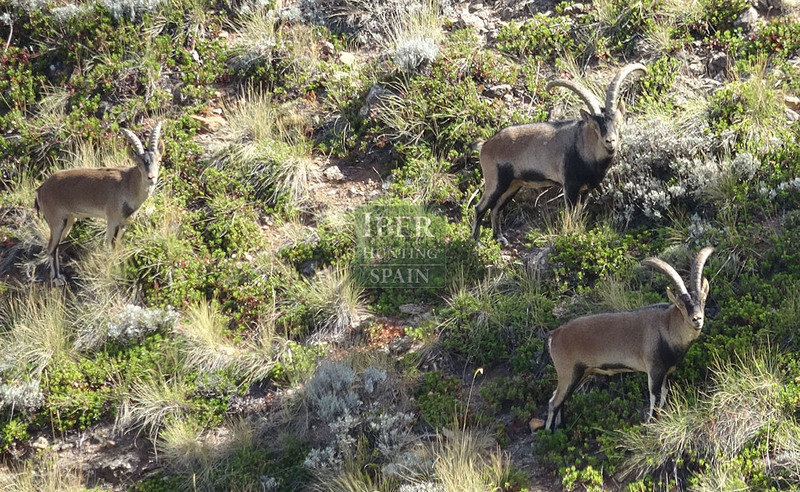 The most important colony of the Capra Pyrenaica Hispanica, which inhabits the parallel mountain ranges of the Mediterranean peninsula, is in Sierra Nevada. This hunt, just like other stalking of this species, begins in the early hours of the morning. 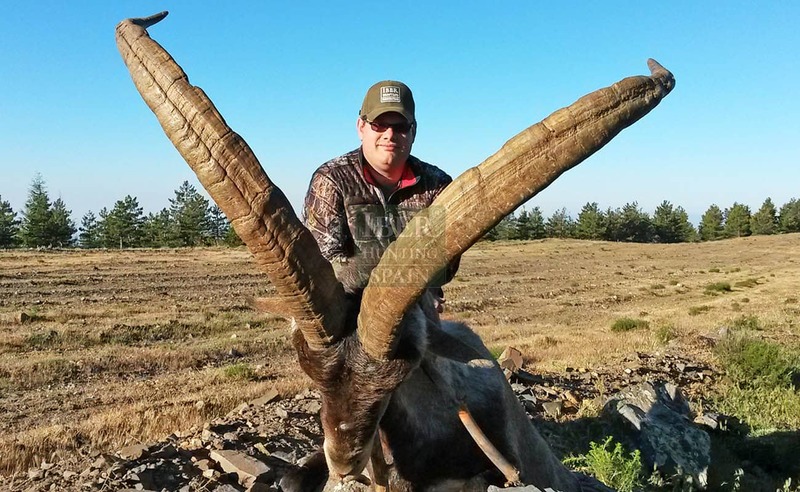 It is a mountain hunt in which the hunter and guides search, with the aid of binoculars and monocular, for a suitable trophy according to the clients demands. The stalking should then be carried out in complete silence, with attention being paid to the recommendations of the guide, who will demonstrate his knowledge and know-how in the terrain. This is a species with a very sharp sense of smell, sight and hearing, an adversary which will contribute to the hunt, together with the incomparable landscape common to the area, the necessary ingredients to make the day an unforgettable hunting experience. The Romans taught Andalusia how to cultivate wheat and vines and used the fish from the seas to produce the best “garum” in the empire. The Arabs taught the people of Andalusia to grow fruit and vegetables. They used irrigation systems and perfected the cultivation of the olive and the production of oil. Furthermore, the Greeks, Phoenicians, Carthaginians and Visigoths left their mark on the art, science, culture and gastronomy of Andalusia. This is quite a legacy and the best way to get to know it better is to sit down to the table. At the foot of Sierra Nevada, between the rivers Darro and Genil, lies one of the most interesting cities in Eastern Andalusia, Granada. An impressive Andalusian legacy meets with architectural gems from the Renaissance and the most modern facilities of the 21st century. Because it was the last city to have been reconquered by the Catholic Monarchs in 1492, Granada has an unmistakeable Arab flavour. Its cuisine, crafts and urban layout are a consequence of the city’s glorious historical past. Fountains, viewpoints and Cármenes, the villas surrounded by gardens typical of the city, create unforgettable nooks and crannies. With good reason one of the oldest neighbourhoods, the Albaicín, is a World Heritage Site together with the La Alhambra and Generalife. An important cultural centre for centuries, both during the Muslim and Christian rule, nowadays the city boasts an enviable calendar of cultural and leisure events. Cinema, music and theatre festivals and seasons combine with permanent and temporary exhibitions which cover all fields of knowledge. Old Renaissance palaces are homes to seminars, conferences and debates, while the most innovative infrastructures are prepared for bigger events.